It was on time and professional. Wonderful! Ryan is too notch and really knows his stuff. Very pleasant and professional. 2 lids gave been mailed to me and BOTH had broken latches, so the issue has not been resolved after weeks. This is not TC appliace’s fault, but it’s been a waste of both their time and mine. The “awful “ ratings are more relevant to Maytag. Ben was prompt, helpful and solved my issue very quickly. He also had some good advice on maintenance of my oven. WASHER WHIRLPOOL WTW4950HW1 Replaced the electronic control and the lid strike. Tested is a self test cycle and it completed the test as it should. OVEN WHIRLPOOL WOS51EC0HS01 Realigned the oven door hinges were not in correctl position tested. COOKTOP JENN-AIR JGC8536ADS "Found igniters non functional. Ordered all screws, orifice holder, burners and igniters. Allow 2 techs 2 hours. My have to drill out. Send parts to tech. Customer will be back on 4/25/19; ordrng 2 74009553 (holder-orf)s and 1 PARTTOTECH and 10 WP400021 (SCREW)s and 5 WP74009336 (IGNITER)s and 2 WP7527P003-60 (ORIFICE HOLDER)s and 1 WP7527P004-60 (ORIFICE HOLDER ) and 1 WP8286828 (SPARK MODULE ), used 1 Ship (Shipping/Handling) from stock"
MICRO/OVEN KITCHENAID KOCE500ESS05 Installed new door hinge on the right hand side. Also shaved the slides on the door switch assembly to allow them to close smoothly with no resistance. All checks ok and door is closing with no issues and starting. No other issues found. REFRIGERATOR WHIRLPOOL WRS321SDHZ01 Installed new parts no leaks valves operate correctly. DISHWASHER KITCHEN AID KUDE2020 Installed door link kit operational. WASHER WHIRLPOOL MVWX655DW1 Installed housing no longer leaks. 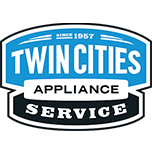 DRYER WHIRLPOOL NGD4655EW2 "Dryer heats correctly exhaust is restricted, gave her a card." COMPACTOR WHIRLPOOL KTTS505ESS0 "Solid pack switch miswired corrected now ram operates correctly, intermittently the contacts for the top directional limit switch not opening causing motor to continue to run adjusted the actuator lever tested could not duplicate if problem re-surfaces pre-order WP777811." REFRIGERATOR KITCHEN AID KRSF505ESS01 Installed icemaker operates correctly. WASHER MAYTAG MVWB835DW3 "Installed UI. During disassembly for gearcase replace, found several coins between agitator and basket. Removed coins. Calibrated unit and Ran an auto test. All tested ok. No gearcase noise. Returning gearcase"
REFRIGERATOR WHIRLPOOL WRS325FDAM04 "The refrigerator liner parts page lists a wpw10515057 as the correct led light. It is wrong. According to the part number on the fresh food led, we need a wpw10515058. This one has the 2 plug in connextors needs whereas the other one only has 1 plug in connector.Return next Friday morning, 3/8/19, again in the 8-10 time frame. ; ordrng 1 WPW10515058 (FRESH FOOD LED)"